Just How Important is Reputation Management to My Firm? Your law firm is just as good as its reputation within the existing and prospective clientele. 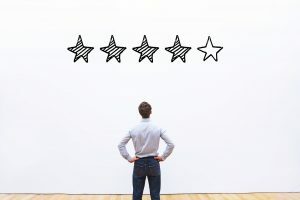 Especially, for a law firm, the significance of a stellar reputation simply cannot be understated. You might win hundreds of cases but one major slip up could provide fodder to your competitors to tarnish your reputation. Not just that, the reputation of a law firm and the lawyers working in it plays an indirect but immense role in the outcome of a case. For instance, hiring a law firm known for representing hardened criminals could give the perception that the client is guilty. Therefore, it is extremely important to curate an appropriate and suitable reputation for your law firm. In order to become a successful and reputable law firm, it is imperative to earn the trust of your existing clients. This trust can be providing unsurpassed services to your existing clientele and subsequently using this trust to promote a trustworthy image of your firm online. This is important as most people tend to use the experience of other people to gauge the reliability and trustworthiness of your law firm. Therefore, in order to establish trust amongst your existing and prospective clients, you must manage your firm’s reputation in a matter which emanates trust and reliability. One of the main goals of reputation management is to increase the scope of your business by attracting more clients towards your firm. In the current digital age, where online presence plays an important role, more and more businesses are paying attention to their reputation online. By hiring the services of a professional and experienced digital marketing specialist to manage their firm’s reputation online, many firms are successfully driving more clients towards themselves. Apart from increasing the number of clients, reputation management also provides your firm with the opportunity to develop its unique identity. By maintaining a stellar and professional reputation, your firm can become distinguishable from all other direct competitors. This would not just attract more clients but also compel your existing clients to stay with you and pay higher fees for your services. If you wish to find out more about reputation management and how you can manage your firms’ reputation in an optimized manner or have any queries regarding digital marketing, contact FORWARD marketing at (888) 590-9687.